By sculptor Max Patte. 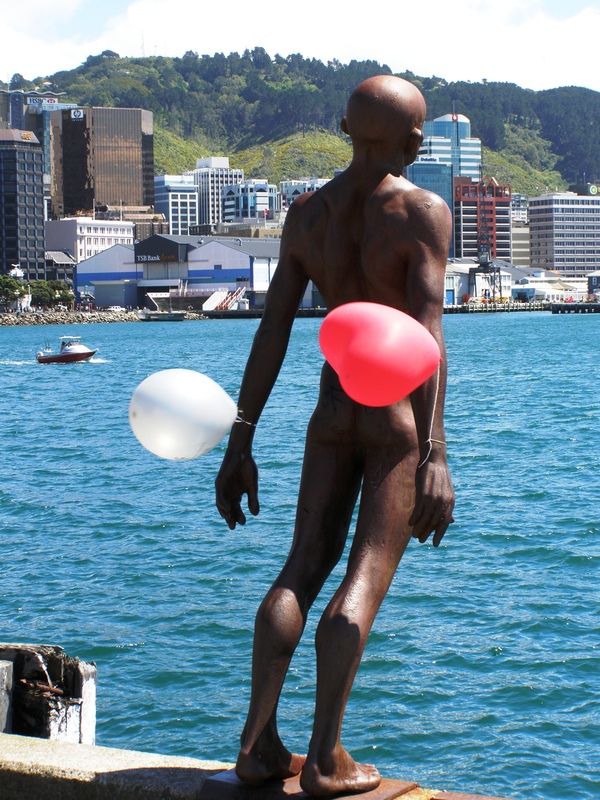 Solace in the Wind is on the Wellington waterfront beside Te Papa. It is a two-metre-high iron figure leaning forward into a cross-harbour gale with eyes closed and arms held back and locals ( and I suspect his creator also) often dress him in clothes appropriate to the season or occasion – I will do a photo blog of some of them one day.